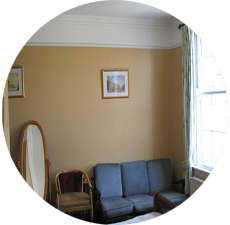 Harvey's Guest House is a family run Guesthouse in the center of Dublin City, Ireland. 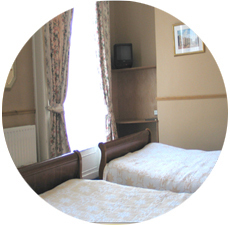 The rooms are completely renovated, with modern fittings, French slay beds, TV's, and telephones. Our Family run Guesthouse is located 750 meters from O'Connell bridge, a short 15min walk from here. All rooms are ensuite with a bath/shower and the house is non smoking, but we have a lovely garden bench for those of you who do smoke. We are easily reached from the airport on the local 16 or 41 inbound buses, to Dorset & upper Gardiner St. Exact fare €1.65. 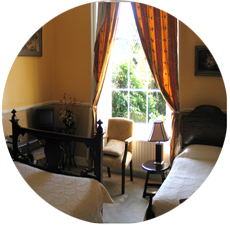 We look forward to meeting, helping and guiding you through your stay in Dublin and Ireland. 800 yards from OConnell bridge, the exact city centre! 5 mins from trendy Temple Bar area, full of pubs, clubs and restaurants. Easily reached from the Airport on the 16 or 41 bus which will drop you at the junction of Dorset Street & Upper Gardiner Street. We are 150m south, towards the river. Heck yeah this is ecxatly what I needed.